primary – eduBuzz What's On? 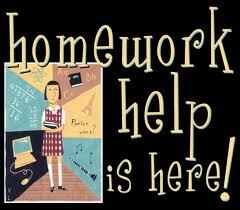 Homework clubs are a new service from East Lothian Libraries, which will be launched in January 2013. They consist of a 1.5 to 2-hour drop-in session, run by a Volunteer Homework Club Leader with the assistance of a Volunteer Homework Club Helper. Primary School Children can come and do their homework at their local library where they would benefit from space to study, access to a wide selection of books, online resources, word processing and supervised internet access. The volunteers would supervise children, support them in completing their homework, assist them with using the range of research tools available in the library, and encourage them to search the library shelves for books that might be relevant to their needs. They will also be asked to complete a small amount of administration and paperwork involved in the running of the club. Homework Club Leaders need to be members of the Disclosure Scotland PVG scheme. The majority of club members will be aged 8-12 (P4-7), but, depending on the Homework Club Leader, some clubs may accept children from P1. The aim of the homework clubs is to provide a safe friendly environment for children within the library where they can come together and work on their homework. Volunteers offer support but do not teach the children. These free sessions, staffed by ELC Outdoor Learning Service Teachers build pupils skills in these activities as well as the generic skills and benefits from engaging in experiential and outdoor learning . The sessions also benefit pupils and schools by providing further opportunities to enhance delivery of the core capacities of the Curriculum for Excellence through Outdoor Learning. There are only a few spaces left for the Orienteering sessions and Indoor Climbing – get in touch to book a session & you can check availability here.